This image released by the Senate Judiciary Committee on Wednesday shows Supreme Court nominee Judge Brett Kavanaugh&apos;s calendar, from the summer of 1982. WASHINGTON — The Senate Judiciary Committee released calendar pages from the summer of 1982 on Wednesday that paint an image of a party-hopping Brett Kavanaugh in high school, complicating his self-drawn portrait of a diligent student obsessed mainly with sports and reaching the top of his class. At the same time, lawyers for the woman who has accused Kavanaugh of sexually assaulting her that summer, Christine Blasey Ford, gave the committee four affidavits — one from Blasey’s husband and three from friends — stating that she had told them in recent years that President Donald Trump’s Supreme Court nominee had assaulted her in high school. Released as both sides prepare for an extraordinary public hearing before the Judiciary Committee on Thursday, neither disclosure proves or disproves the cases that Blasey or Kavanaugh have sought to advance, but Democratic senators are likely to use the calendars to question how truthful Kavanaugh has been about his younger days. And although the affidavits suggest that Blasey’s story has been consistent, Republicans are more likely to focus on the lack of contemporaneous evidence that could corroborate her story. The White House did not immediately respond to a request for comment. Kavanaugh has repeatedly denied allegations that he behaved inappropriately toward women. 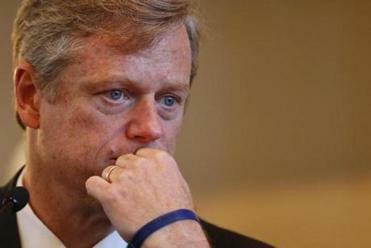 Governor Charlie Baker did not answer whether he thinks Brett Kavanaugh is fit for the nation’s highest court. Judiciary Committee aides confirmed that they are examining Swetnick’s declaration, again raising questions about the nominee’s high school days. 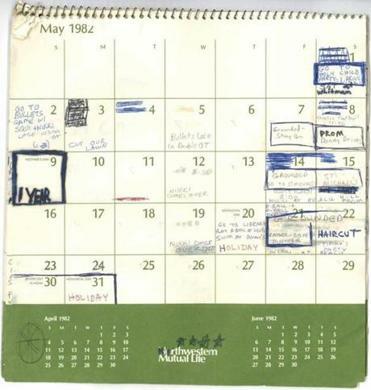 Kavanaugh intended to use the calendar, a green 1982 Northwestern Mutual Audubon wall calendar, as a part of his defense that he did not assault Blasey nor had any memory or record of a party like the one she described. No such entry exists to note a gathering that summer that exactly corresponds with Blasey’s memory. But the calendars from May, June, July and August do contain notations that could be seen as helpful to her. He did “go to Judge’s,” an apparent reference to Mark Judge, the friend of Kavanaugh’s whom Blasey identified as participating in the assault. On July 1, 1982, he was to go to a friend’s house for “skis” with Judge and “P.J.” — possibly “brewskis” with Patrick J. Smyth, a classmate of Kavanaugh’s at Georgetown Preparatory School, identified by Blasey as P.J., another student attending the gathering where she says she was assaulted. The calendar pages are full of social appointments, academic requirements, lots of trips to the beach and more mundane college visits and doctors appointments. “BEACH WEEK” he wrote in early June. “Go to Rehoboth w/Sam, Tom, Mark and Donny,” reads another. There are multiple parties, multiple sporting events and a couple of nights where Kavanaugh notes that he was grounded. At others, he travels to visit his grandmother in Connecticut and to spent the weekend with his parents in New York. He also appears to have spent considerable time at Washington-area country clubs, including the one where Blasey said a small group of teens congregated on the evening that she was assaulted. Many of those notations are not unusual for a teenage boy, but Kavanaugh, in his self-defense, has taken a stand that has been uncompromising in his portrayal of his teenage years as an innocent, sports-obsessed student. Blasey has said that she did not tell anyone about the assault at the time out of fear that she might get in trouble. But the affidavits, all signed this week, suggest that Blasey had told some of the people closest to her, including her husband, about the episode at various points in recent years. Russell Ford, Blasey’s husband, said that his wife shared the details of the assault in a 2012 couple’s therapy session. “She said that she had been trapped in a room and physically restrained by one boy who was molesting her while the other boy watched,” he said. The details are consistent with the account that Blasey shared with a Democratic senators this summer and The Washington Post earlier this month. Ford said that his wife mentioned Kavanaugh’s name again in 2017, when Trump announced Justice Neil Gorsuch would be his nominee for the court. Blasey has said that her therapist took notes during the session. Republicans complained Wednesday that those notes were not among her submission to the committee. Blasey has also yet to turn over the results of a polygraph test administered this summer. She presented both as corroborating evidence to The Washington Post in the interview. In another affidavit, Keith Koegler, one close friend, says that Blasey mentioned the assault to him in the summer of 2016, around the time that the news was awash with the story of a Stanford student, Brock Turner, who raped an unconscious woman. Blasey told him that she had been assaulted by a man who was now a federal judge. Shortly after Justice Anthony Kennedy announced his retirement from the court in July, Blasey wrote an email to Koegler saying that her assailant was a “favorite for SCOTUS,” short for Supreme Court of the United States. When Koegler inquired who, she said it was Kavanaugh. Another friend, Adela Gildo-Mazzon, recounted a 2013 meal with Blasey at a Mountain View, California, pizzeria in which she grew “visibly upset.” When Gildo-Mazzon asked her what was wrong, Blasey said she had been having a hard day, thinking about being assaulted years before. And Rebecca White, a friend and neighbor, recounted a conversation outside her house in 2017 in which Blasey told her that she had been sexually assaulted by an older teen when she was younger. “I remember her saying that her assailant was now a federal judge,” White said.